Sgt. Benny Boykin started his law enforcement career at the Wilson Police Department in 1997. He currently supervises the department's Strategic Traffic Enforcement Patrol. 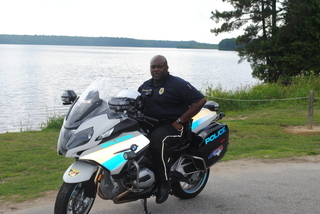 He completed Motor Officer Training at the NC Highway Patrol Training Center in August 2014.